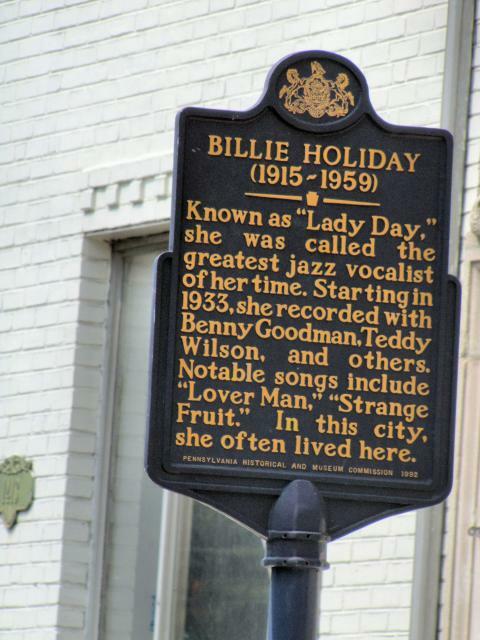 Known as "Lady Day," she was called the greatest jazz vocalist of her time. Starting in 1933, she recorded with Benny Goodman, Teddy Wilson, and others. Notable songs include "Lover Man," "Strange Fruit." In this city she often lived here. This marker can also be identified by its HM code. You can use the hashtag #HM1JRB in tweets, and any other place where you might refer to this marker, including when searching on this site.